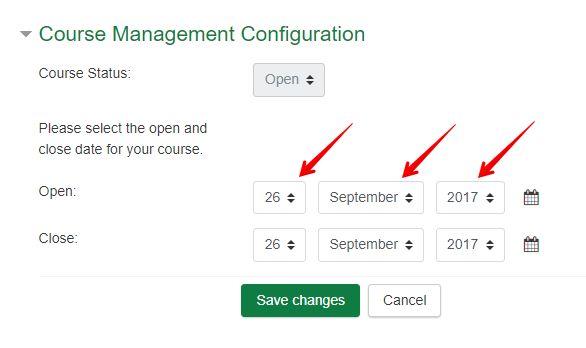 As a part of our upgrade in July 2015, we have introduced a feature into eClass that allows instructors to at-a-glance view their course visibility and to view or change the access dates for students in their courses using the new Course Management block. This article outlines how to use the block. 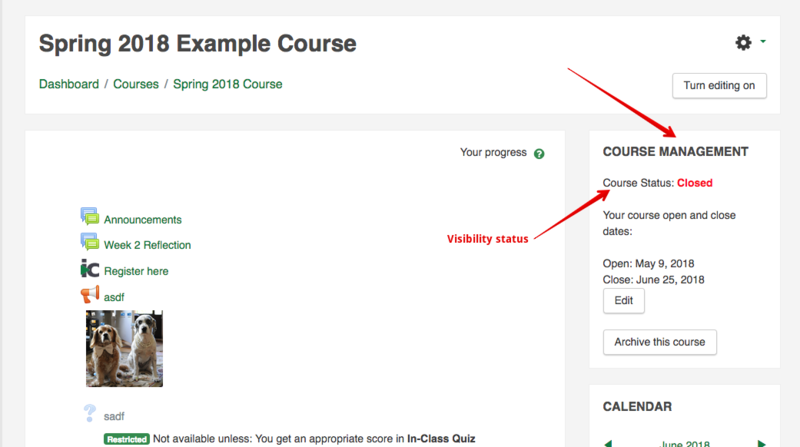 Course visibility is normally automatically determined by the course access dates specified when requesting an eClass for credit sections (see the article Student Access to Your Course for more details on that step of the course request process.) 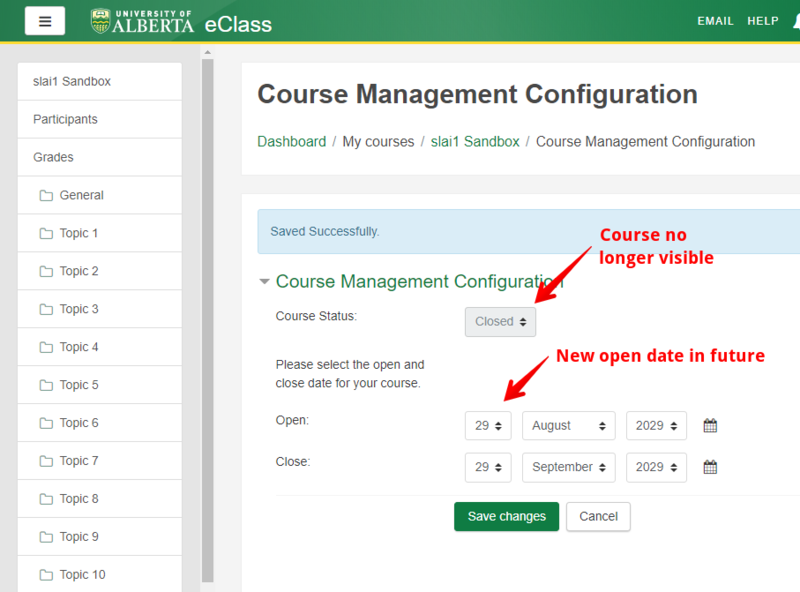 Your students will gain or lose access to your course at 12:01AM on those dates. 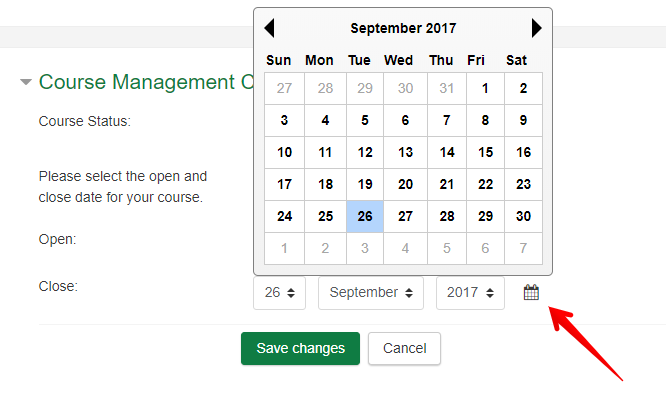 Once those dates are set, they can subsequently be viewed or adjusted inside your live eClass course using the Course Management block. 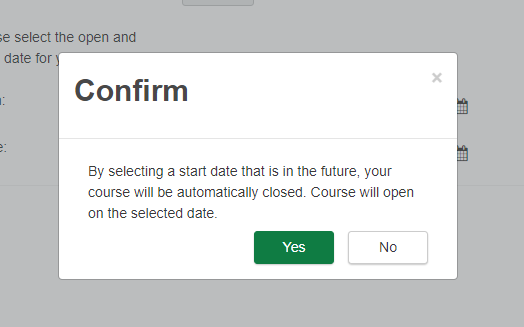 It is also possible to manually change course visibility at any time. This block can only be added to a course by course instructors, designers, or TAs. 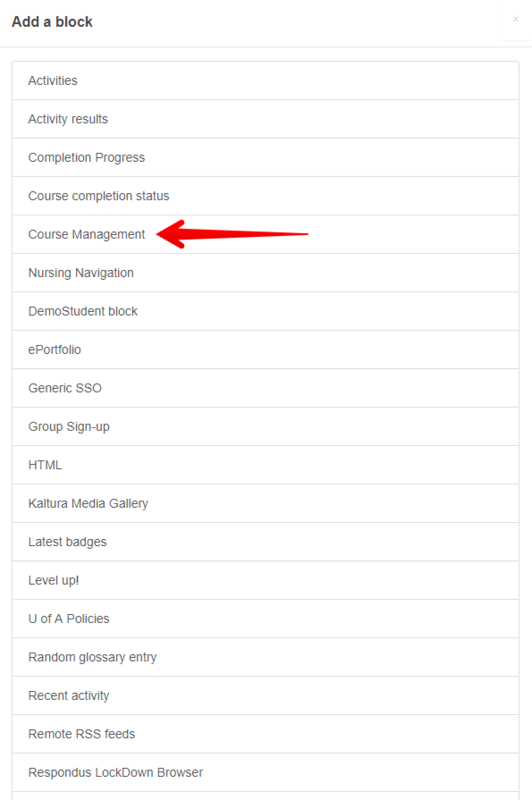 The block is visible to all administrative roles but cannot be seen by students, auditors, or guests. 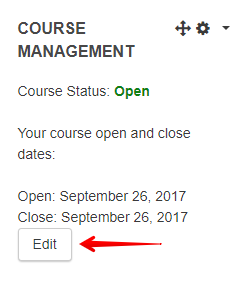 New in 2018, the Course Management block has been has been moved to the top of the right hand column within all credit courses to make the course visibility status more noticeable. 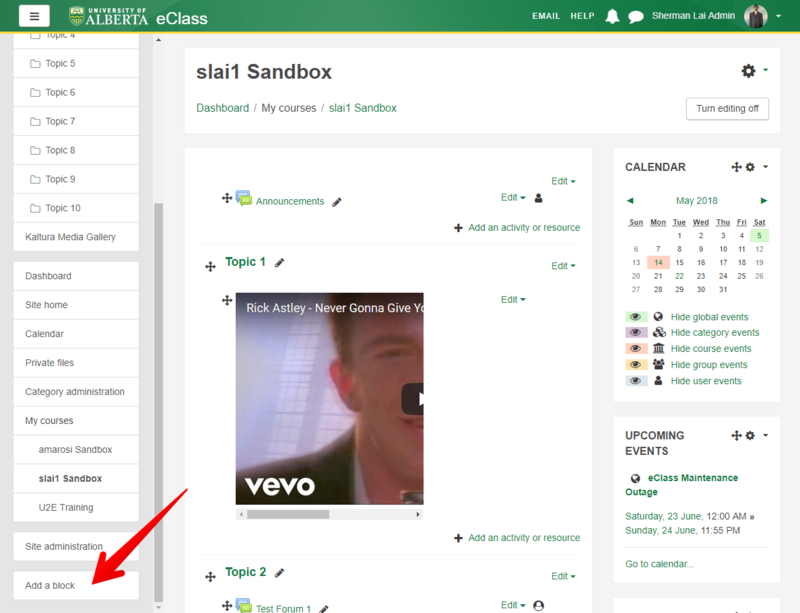 Note that if you are using a somewhat small display and do not see any blocks on the right hand side of your course, your browser may have switched the eClass display into tablet mode and all the blocks will appear at the bottom of the page, underneath the main content sections. You can restore the regular view by zooming out using the standard browser shortcuts of CMD/CTRL '-'.